I am convinced that the scriptures teach of a God who is completely sovereign in salvation. I am a monergist. I can cite several passages that make me think this way. I think if you look at some of my answers on this SE, you'll see that I'm a Calvinist. However, this does not mean that I'm a blind Calvinist. I arrived where I did by many years of study and internal deliberation. I am having another internal deliberation at this point. If we examine passages like the first half of Ephesians 2, we see that it was our nature to sin, and that we had the spirit of Satan working within us. In the same place, Paul refers to us as being dead in our sins. By all accounts, it looks to me like plain support of a Reformed interpretation of the doctrine of regeneration. In the first two chapters, we see plainly that we have been unified with Christ: he in our death, and us in His life. Because of this unity we have with Christ, God made us to be alive as He made His Son to be alive (and now, being united with Christ, we are sons and co-heirs with Christ). This all paints a beautiful monergistic picture. I get it most of this. Most of it still even paints a monergistic picture, with the phrase "circumcision made without hands," and the whole idea of being "raised" from the dead (the imagery being that it doesn't really involve an act of man's will that he should become alive while he is already dead). But I have a problem with the phrase "raised with him through faith." I see a logical contradiction that I need help working through (and a non-Calvinistic perspective on the passage does not solve the problem). Dead men cannot have faith (again, read Ephesians 2). We need to be made alive. However, this passage cites that we are raised through faith. What should I make of this contradiction? The reformed interpretation of regeneration is wrong. Men have the capacity to believe in God before they are regenerate (Wesley's idea of Prevenient Grace would therefore be inapplicable). This simply cannot be. Again, those with faith were once under Satan's influence. A house divided against itself cannot stand; we cannot serve two masters. There was nothing in us to make us want to believe. Faith must be inherent in regeneration. Not tied to it, but faith would be regenerating. This would mean that predestination would be unto faith, and I've read Reformed authors who would quite disagree with this. I hope I've made the problem clear. I would appreciate some insight. Please allow me to clarify, I welcome explanations from traditions other than Calvinistic/Reformed. However, I would like these to address the basic doctrinal problem I am discussing. Please see @Eric's comment and my answer to his comment to get an idea of what I mean regarding this. My friend and bible study teacher Patricia Peterson has written 2 wonderful books about the order of salvation/redemption history, election and God's decree. The Ordo Salutis (her 1st book) & Whatsoever Comes to Pass ~ The Absolute Nature and Precious Comfort of God's Decree. I pulled some of this from her 1st book The Ordo Salutis. Faith comes from hearing Rom 10:17. God calls His chosen ones through faith in the truth 2 Thess 2:13-14. Truth is the word of God John 17:17. The call is effectual because the elect sinner is "in Christ" FROM eternity. We do not enter the "in Christ" relationship when we are called. God chose the elect sinner "in Christ" before the foundation of the world, in the covenant of redemption Eph 1:4; 2 Tim 1:9. The Father elected from eternity, but He elected in Christ. There was no election of the Father in eternity APART from Christ. There has never been a time when those "in Christ" were not "in Christ". Christ is the object of our faith. Maybe some food for thought? Patrictia Peterson's books have been a blessing to me. So though we were once dead in our sins (and not even able to do good, as you indicated), God made us alive by His grace, having predestined us according to His foreknowledge. In His sovereignty, what method did He choose by which to accomplish this? It was to be accomplished through faith. This transforming event which is accomplished through faith is also when you become a son of God, when Christ begins to dwell in your heart, and when we receive the Spirit as God's seal and promise to us that we are in Christ and will be raised in the end. But what is the source of this faith? God is! I'm not a Calvinist, but I don't see a problem for Calvinism in this particular passage. The problem that you have, it seems, arises by assuming that being "raised with him" is the act the enables us to have (saving) faith. Thus, you find yourself in a contradiction, for how can we be required to have faith in order to get faith? But I don't think that the text warrants the interpretation that being raised with him is how we are enabled to be saved. Rather, being raised with him refers to salvation itself. Notice that the death that the reader is being raised from is not a spiritual death that keeps us from seeking God. Paul is not talking about total depravity when he talks about death (burial) here. He is talking about death in the sense that we died with Christ (were buried with Christ), and will be raised with Christ (as baptism symbolizes). See also Romans 6:3-10 and 2 Timothy 2:11. Some might argue that this indicates that Paul is speaking about total depravity in the previous verse, and God's select regeneration of the lost from that depravity. But I don't think we should ignore how well verse 12 parallels what Paul is talking about in Romans 6. And I don't think that we can ignore that there are two kinds of death talked about in this passage: death with Christ to sin (v12) and death without Christ in sin (v13). It seems much more natural to me to associate the being "raised with him" with the being "buried with him". So I do not think it is necessary to say that being raised with him refers to faith enabling regeneration. It can easily refer to our salvation itself, as long as you understand that the death we are being raised from in Paul's metaphor is not our depravity, but our death with Christ. Not the answer you're looking for? 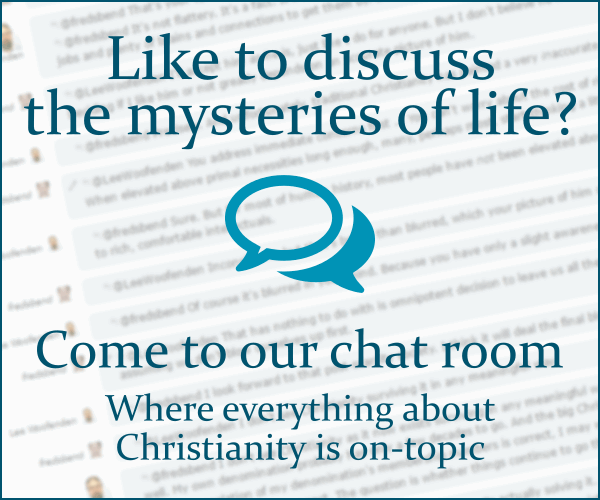 Browse other questions tagged faith reformed-theology regeneration colossians or ask your own question.